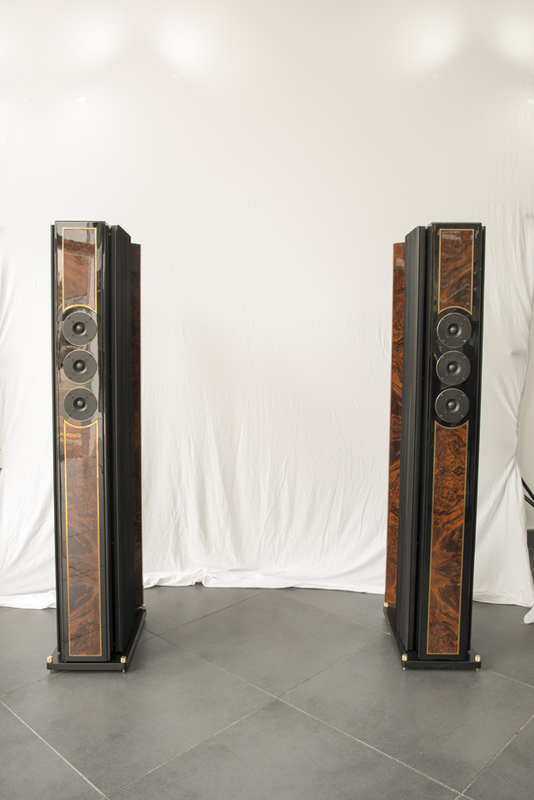 Ex-demonstration Joseph Brodmann JB 155 speakers in exquisite, limited edition, walnut and gold leaf finish. A sonic tour-de-force in excellent condition. 2 years warranty. Crates and all accessories included.